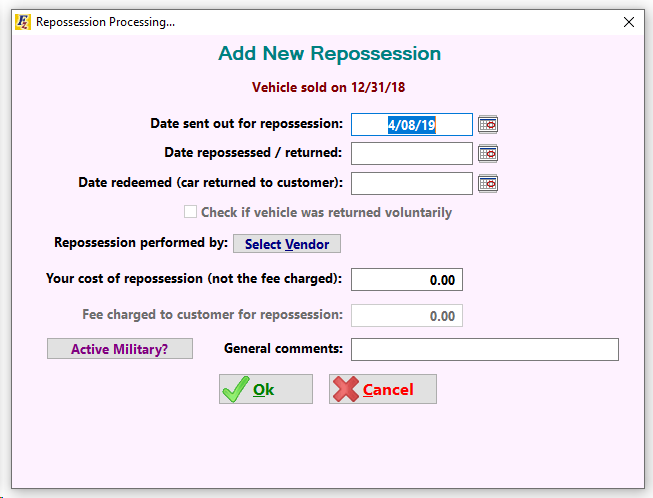 Use the Repossession Processing window to record the repossession status of vehicles. 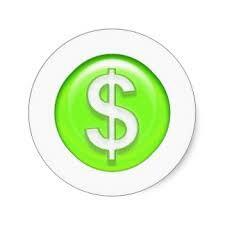 A repossession fee may be charged to the customer AFTER the "Date repossessed / returned" field is filled in. The amount of the repossession fee will show in the Fees Balance portion of the customer balance area on the main screen. If a repossession needs to be updated or deleted, click the button. To write-off the customer, select and then from the customer activity window.